Home Property Damage Lawyers in Port St Lucie, Fort Pierce FL. Since the very difficult year of 2004 when Hurricanes Jeanne and Frances battered Port Saint Lucie and Fort Pierce, we had a relatively quiet period until 2017 when massive Hurricane Irma hit Florida bringing widespread damage again to Port Saint Lucie. Hurricane Irma produced billions of dollars of losses. The Florida Office of Insurance Regulation found the Port Saint Lucie area to be a heavily affected by hurricane claims with roughly 17,000 hurricane insurance claims in Saint Lucie county and Martin County combined. Homeowners Insurance is a form of property insurance, which protects your home against damages to the home, or to your possessions contained within your home. Homeowners insurance also provides you liability coverage. Homeowners insurance is required to obtain any mortgage to purchase a home. Coverage A – Dwelling. This coverage covers your building (ie. the house itself and structures which are permanently attached to the house. Materials and supplies for repair and construction of the house are covered if they were located on or next to the residence premises. Coverage B – Other Structures. This coverage covers things that are not permanently attached to your main house, such as your fence, your shed, etc. A pool with a continuous foundation attached to your house should be covered under Coverage A – Dwelling. Coverage C – Personal Property. This coverage covers your personal property (such as your furniture, clothes, appliances, etc.). There are a number of exclusions to this coverage in a typical homeowners policy including animals, birds and fish, motor vehicles, etc. There are also separate special limits for items like jewelry, firearms, watercraft, and trailers, etc. Coverage D – Loss of Use. This coverage covers increases over your normal living costs if damage from a covered peril makes your house unfit to be occupied. For example, if your house was severely damaged by a hurricane and you were required to rent an apartment for 30 days while your home was being repaired, the condo rental should be covered by your homeowners insurance under loss of use. 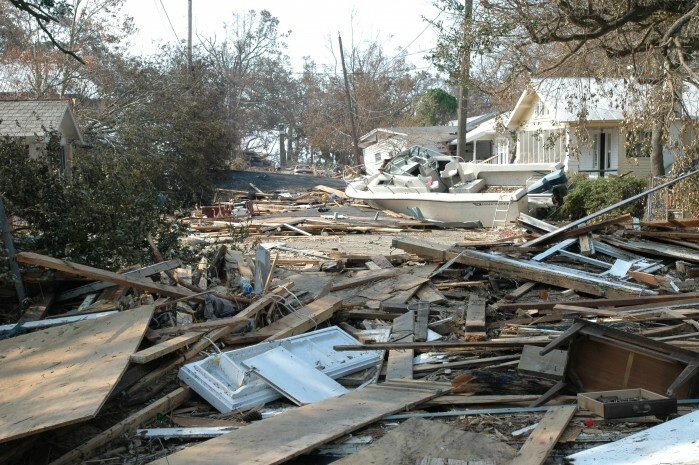 When your home and personal property has been damaged in a named Hurricane or other severe storms, there are few more difficult or stressful times in your life. Your life becomes disrupted and temporarily you may not be able to live in your home. The insurance company may have an experienced claims adjuster or an expensive attorney on their side. They might try to lowball your losses and hope that you will quit fighting and accept less than you are entitled. Todd C. Passman, P.A. handles Hurricane and Storm Damage Homeowners Insurance Claim cases serving Fort Pierce, Port St. Lucie, Vero Beach, Stuart, and Okeechobee, Florida, and surrounding areas. If you have a Hurricane or Storm Damage Homeowners Insurance Claim or have questions please contact Todd C. Passman today, at (772) 465-9806 or fill out the contact form on this page. Someone from our office will contact you right away.